We are experts in the detection and quantitation of trace levels of drugs in biological and environmental matrices. Pia Pharma’s bioanalytical facility is a well-equipped laboratory with specialised sample preparation equipment, and instrumentation dedicated to sub-ppm analysis. We develop predominantly LCMSMS based analytical methods to achieve the selectivity and low detection limits required for pharmacokinetic, bioequivalence or marker residue studies. We adhere to the stringent regulatory requirements for the principles of Good Laboratory Practice (GLP) detailed in international guidelines. Our sample preparation methods are established to achieve the desired balance of assay sensitivity, throughput and affordability. 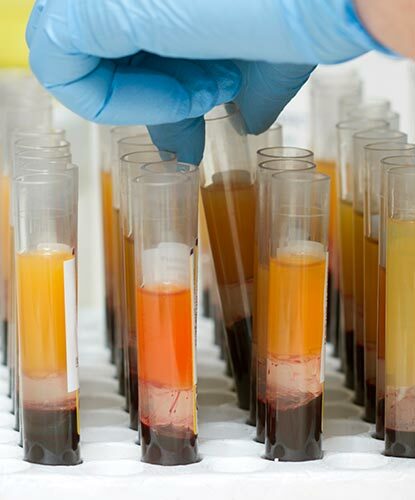 Pia Pharma can determine a vast array of analytes in plasma to meet your bioequivalence study requirements for sensitivity, quality and throughput. Our lab and regulatory teams work closely to produce analysis and validation reports to a GLP standard. We work closely with our network of reliable, quality focused organisations who conduct in-life phases or field trials. This cohesiveness results in a streamlined service approach, saving valuable study time. We have experience with trace analysis of the following drug classes or analytes. We are experts in the detection and quantitation of trace levels of drugs in biological and environmental matrices.